We all know there's a bunch of new iPods coming our way sometime in September and it's also not difficult to guess what might change, but the latest 'informed' speculation from Kevin Rose is more specific than anything to date. The Digg founder states categorically that the iPod nano will be the biggest beneficiary of the designer's makeover, coming out in an elongated, more curvy form with a larger screen. After that, the iPod touch will receive "small cosmetic changes", which we expect to yield a lighter body, plus it will be the first device to get the iPhone/touch 2.1 software. 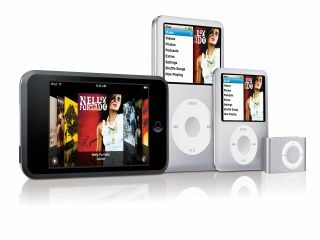 Perhaps more significantly for the long-term future of the iPod, Rose tells us Apple will be slashing prices in a bid to distance the player line-up from the iPhone. In spite of the phone requiring a lengthy network contract, it's clear that there is significant risk of it cannibalising iPod sales in the longer term. Still on the music front, we're led to believe that iTunes 8.0 will also be announced next month – Rose says only that "it's a big update with new features". Could that herald the dawn of the iTunes subscription service we've heard so much about? Lastly, the next update to Mac OS X, 10.5.5, appears ready to roll, but its successor is already in the pipeline, according to Rose. Mac-using high-def fans will be pleased to hear that OS X 10.5.6 will finally bring support for Blu-ray drives. So, if you fancy putting a tenner on the first BD Macs being part of a new MacBook Pro range that should appear around the end of the year, we reckon your money's safe.